This wonderful, anonymous work was first published in the 1940s. This wonderful, anonymous work was first published in the 1940s. 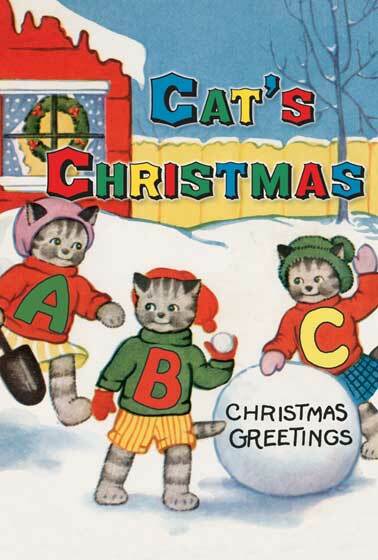 In 26 happy pictures a group of young cats celebrate Christmas, alphabetically. For C a cat eats Candy, in H a holly wreath is carried and for K the kiss beneath the mistletoe is most charming. The naive style and vintage appeal, paired with the small size and price point, adds up to a delicious holiday treat, suitable for all manner of gift giving needs.